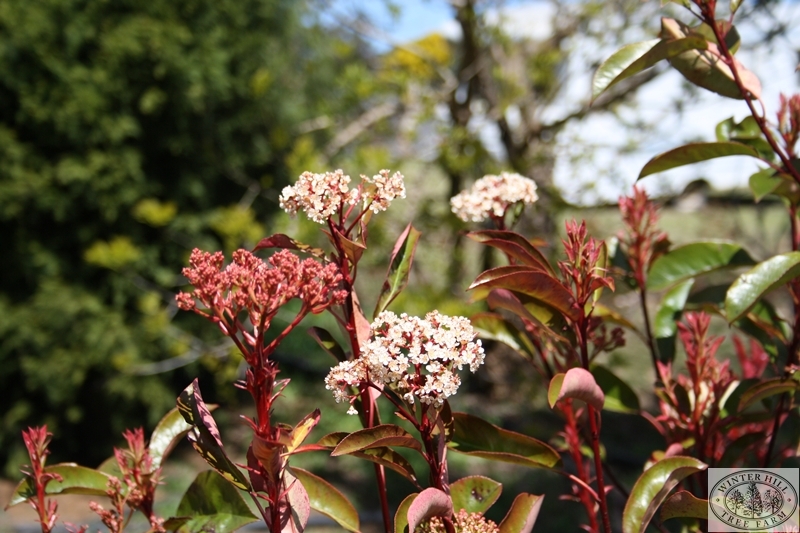 Vigorous evergreen shrub with bright red young foliage. 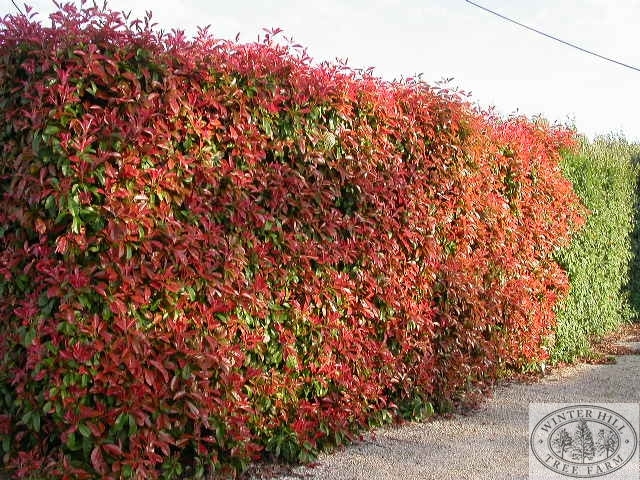 Excellent for hedging/screening. Mid-dark green leathery leaves produces small white flowers in mid-late spring. Grows up and out equally so slightly more round than Robusta.